Find used Citroën Jumper car parts here. Find a large online stock of used car parts Citroën Jumper! We sell more than just an engine or a gearbox. Our specialism in used Citroen parts and used Peugeot parts enables us to stock many other parts as well. Interior parts, bodypanels, electronics and hydraulic pumps to name just a few. You can use this to your advantage by purchasing parts at affordable prices and with a warranty. In our warehouse a very wide range of used car parts Citroen Jumper can be found. Containing almost all spare parts imaginable from an engine, gearbox, ECU, turbocharger, steering rack, exhaust manifold to body panels like a sliding door, bonnet, headlight, front bumper, etc. Since we dismantle the vans in our own workshop there are many possibilities and almost limited part examples; radiator, wishbone, fuel pump, relais, fuse box BSI, etc. 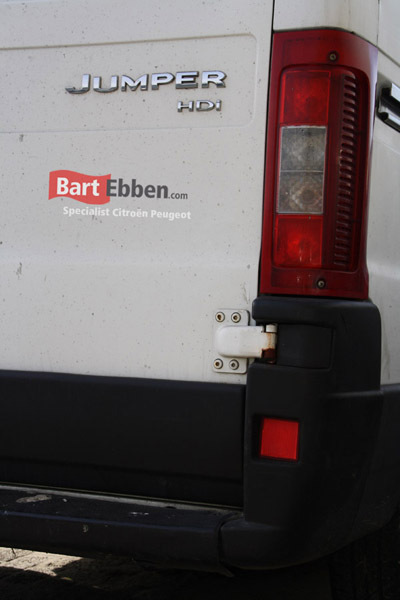 You can take a look into our online catalogue to see all possible parts for yourself, but you can also just ask our salesmen for more details on autoparts for your Citroen Jumper van. They can help you find exactly the right spare part. Our company is located in the Netherlands, however we ship second hand car parts to customers all over the world each day. Shipping the second hand Citroen Jumper car part of your choice to your location will not be a problem, because of our decades of experience the parts will be packed thoroughly. By contacting our salesteam you will have specific shipping information in short notice. We can also supply Peugeot Boxer car parts.